It's on my todo list. The thing is, i've not played with with GregTech CE, so this will take a while to get right. Replace the RF Consumer with a FE Consumer. Immersive Engineering does not support Redstone Flux, only Forge Energy. I really think I should remove RF support as it only confuses people and there is no mod that only uses the RF api. All mods that support RF also support FE, so it feels redundant. I'm using the DNS Techpack and the version 1.0.1.2 of this mod and the MJ Producer/Consumer don't appear in my item list (Just Enought Item) Has it been removed ? Buildcraft support was added in 1.1.0.7 for MC 1.12.2. 1.0.1.2 is pretty old. I dont understand why this isnt working ( link to screen shot ). Buildcraft doesnt support FE, hence why people want to use this mod in the first place. The MJ and FE blocks look a bit too similar, I'll change them in an upcoming release. You need to connect wooden kinesis pipes to the MJ producer. Thats how buildcraft works. Ok, now it's working but on 200RF/t quarry is mining very very fast. I think, when buildcraft was supporting RF, it was more like 1RF:0,20MJ. I've made a fix and published the new version 1.2.0.10 which not only fixes this but also allows configuration of all conversion ratios in the mod configuration. Keep in mind though. Buildcraft is still in alpha, stuff will change. The Quarries speed depend on how much power is stored in the internal buffer of the quarry. Before the fix, around 200 FE/t were enough to completly saturate the buffer when mining stone. With the fix, this is now at 300 FE/t or 20 MJ/t (or 20 Stirling Engines, 4 Combustion engines with Fuel, etc). All of these Values sound about right to me - Buildcraft is not designed with the RF Powercreep in mind. Fiddle around with the buildcraft settings. There are some power related settings like the pipes.mjPerItem setting that might help you with this - but be aware that this will probably completly wreck any buildcraft engine usage since there seem to be no options to increase the power generation of buildcraft engines. Any possibility you could add integration to ProjectRed Electrotine generators, wires and furnaces? Seems to me that's the only unique power source you haven't added yet. There are quite a lot of energy systems that I dont support yet. Some of them I'm working on (i.e. GregTech CE), others will probably never be a thing (Magic Mods like Botania, Blood Magic). And then there are Mods that have their own energy systems but also some broad support for already existing ones (Mekanism, Galacticraft, DraconicEvolution, etc). It is unlikely that I add support for a Mod that already supports Forge Energy for example. I'll take a look at Project Red. I've checked the project red code and I dont think it is feasable at the moment to add support for project red. 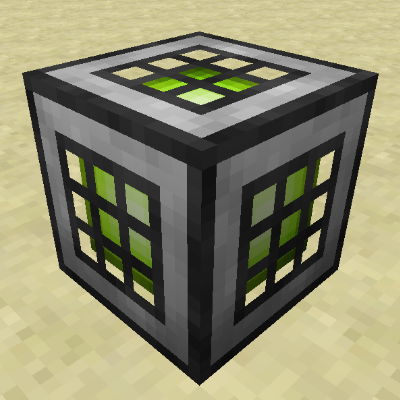 It only has 3 blocks that can use the power generated by the other 2 blocks in the mod. In addition, the project red feature would need to be in its own mod since project red uses language features from scala which are not directly compatible to java. I've added an issue on my github, but I dont think I will implement this anytime soon. I might take another look at this once they added a few more machines but as of now a charging bench for a jetpack and an auto crafter are not reason enough for me to support this, the tradeoffs are not worth it yet. I didnt test mekanism explicitly, but in theory you should be able to connect mekanism power to a FE consumer and put out power through one (ore more) wooden kinesis pipes with a MJ producer.